I am in full Christmas party mode! 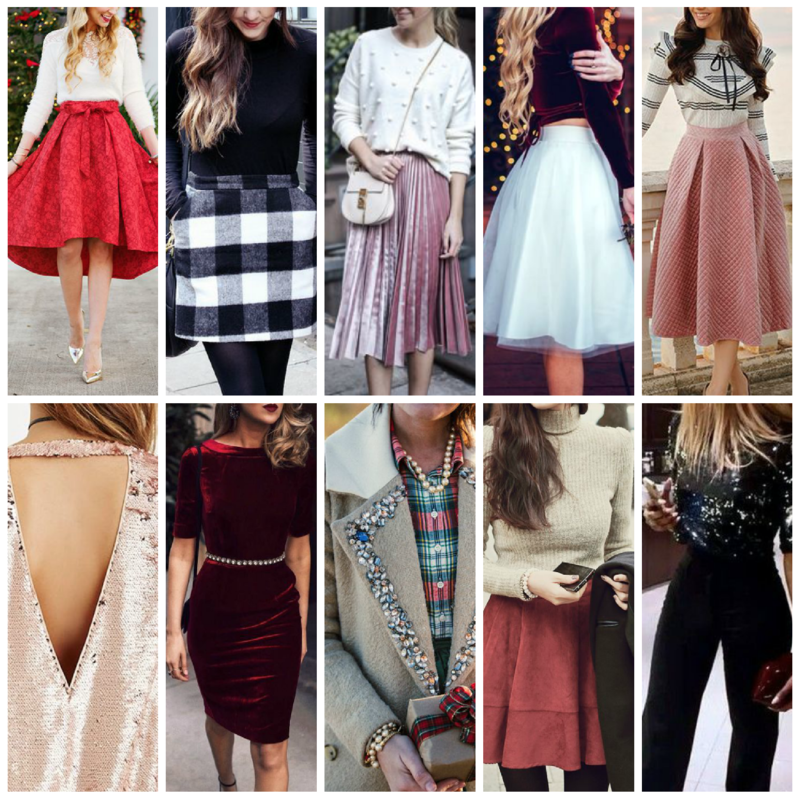 I’ve already been to two and I have another few upcoming, so I’ve been rummaging around Pinterest for some party outfit inspiration and I thought you guys might enjoy a lookie-loo at what I’ve found! I’m totally on board with the glitter trend this year although I do prefer a little embellishment in the outfit rather than sequins all over the entire thing, thus rendering you a walking disco ball! Included above are some of my favourite looks, I’m especially loving the embellishment on the coat collar – could make for a pretty cool DIY job on an old coat too – giving it a new lease of life! As always with my mood boards, these images were found on Pinterest and the original posts can be accessed through here. Have you got a go-to outfit for the holiday season – what combination do you go for most?